I get teased by my friends for being “too” frugal. Is it really too frugal to have the same bathroom rugs for 17 years before throwing them out a few years ago? Am I the only one? I mean they were still in great shape and did the job. Plus bath rugs are expensive, don’t you think? I seriously think I had heart palpitations when the set of 2 that I really liked were $40! Sometimes I think my “money mindset” is still set back in the 80’s. Or what about the fact that last year I was beyond thrilled to finally get new kitchen mats for in front of the stove and sink and a few new packages of dishtowels. I posted a status on facebook about it being the little things that make me happy. I got a few funny comments. Am I the only one that stays out of stores unless I need something? You know like Target or Walmart. I very rarely go….but when I do I have a list of specific needs, and by needs I usually mean something for the kids: like clothing, shoes or school items, and even if I see things I “want” or maybe we kinda need for the house….I can’t justify spending the money if they aren’t a “true” need. Shopping for me is not a recreational activity….I’d rather be outdoors in the fresh air, not cooped up under flourescent lighting. One of my very favorite mottos that I really strive to live by is, “Use it up, wear it out, make it do or do without.” I think it’s an old adage from the Depression era, but really holds true today. All this background so you’d understand the sheer JOY and fun of my little trip to Ikea with Michelle last April before we headed home from the Food Blog Forum in Orlando. I’d heard of Ikea years ago from my cousin and good friend Amy. She’d always stop into Ikea when she was in Chicago. I finally got to check one out for myself a few years ago when we were making trips down to Ft. Lauderdale every week for my little one’s helmet adjustments. My mom and I had so much fun! If you’ve never been, Ikea is known for quality items at budget friendly prices. They have everything…and I mean everything! Everyone that visits Ikea becomes a new convert. They also have a place to drop your kids off for childcare if they are certain ages/heights so they can play while you shop….gotta love that! And don’t even get me started on their little cafe. Yes, we even had lunch there, but I’ll have to save that post for another time. Since I was away on my first “foodie/girlfriend” weekend and my first “girlfriend” weekend ever, I let myself get a little crazy when loading up my cart. 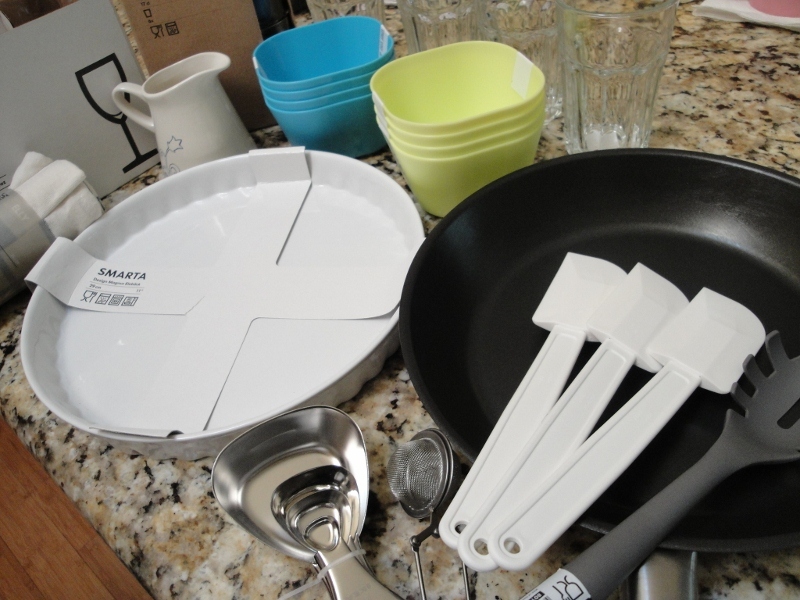 I still went and put quite a few things back, and that’s not to say I didn’t really think through each purchase….but it was SO much fun just buying stuff for the kitchen that made this cook happy!! Just look at all my finds…..all this for $60! Also included in this price were 2 gifts (toys…see everything!) I picked up for my twin baby nephews. I told you you’d love the prices!! The skillet you see pictured was a definite need since my other large one was warped. Did you know not to get a hot skillet wet or it warps the pan? I sure didn’t. So glad I know now! The tart pan was a purely whimsical want, but boy have I used it, and you can’t beat the price at $7.99! Plus I love how cute it looks, don’t you? Those spatulas and pasta spoon were under $1 each. These really cool glasses were only 59 cents each! YES….59 cents! It took all my self-control to not pick up 10 of them! What about these colorful and cute sauce bowls. I use them to whip up dipping sauces almost daily. There were 4 in a pack for something like $1.99 or $2.99. 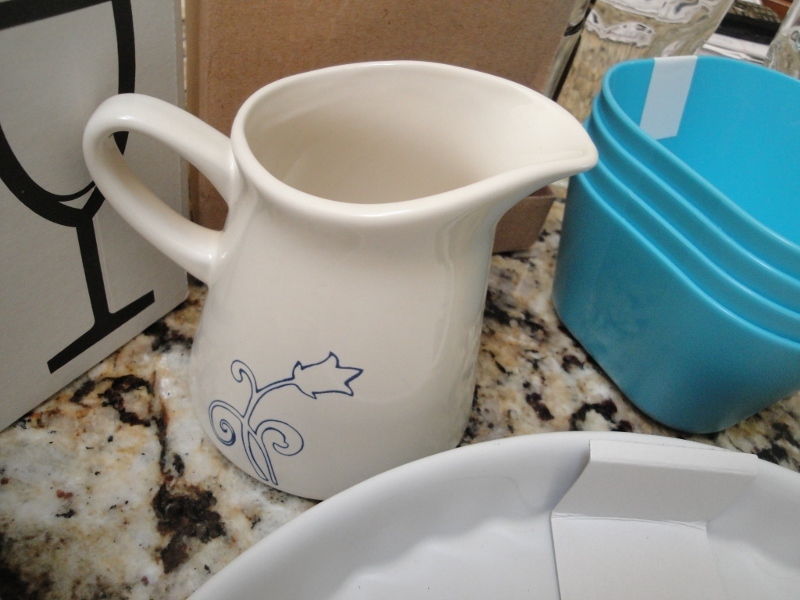 What about this cute little creamer? 2.99 I think….Michelle bought the same one! Tell me your Ikea experiences? Do you have an Ikea close to where you live? What are your favorite Ikea finds? If you haven’t been, doesn’t it sound like somewhere you’d want to check out? Look for the water pitchers from Italy that IKEA carries. Also, you might want to see if the cafeteria is serving a free breakfast on Mondays to get customers in the store on the slowest day of the week. It also serves free meals to kids on some days. 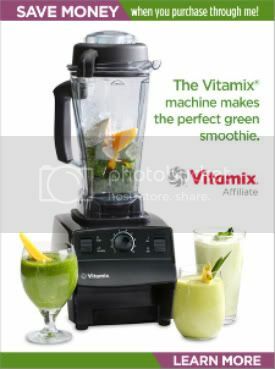 Victor E. Sasson recently posted..What does that sales flier say? My first experience at Ikea was in Europe. I had to buy another suitcase to bring my goodies home. Don’t ask me what I bought, but I’m sure I still had it all several years later, after many moves. You can imagine how excited I was when my sister-in-law in Chicago invited me to go with her when we were visiting. Unlike Denise, I bought impulsively and ended up with many household items I really had no use for. But all was not lost; when we moved to Florida many years later, I donated many brand new items to Habitat for Humanity. I enjoyed the shopping and the bargains and felt good when I gave it to a worthy cause. You know the fact my grandma reads my blog is privilege enough…but that you actually comment really makes my DAY! You are such a hip grandma!! I don’t know that there is anyone in your generation that even knows what a blog is, let alone how to comment on one. LOVE that about you!! 🙂 Oh yeah everyone…she’s not only on FACEBOOK too, but knows how to play Scrabble with her kids and grandkids there too….and emails with her great-grandkids! Ikea is a weakness for many people, even the most frugal (smile). I can be very practical but admit that housewares usually make my knees quiver. I love love love Michelle! We did some Frito Lay videos together!!! I love me some Ikea too! Tracy Wood recently posted..Cookwell and Company Tomatillo Salsa Pork Enchiladas Supremo! It’s so gratifying to make great find like these! We have an Ikea very close to us, but I never think to go there. That needs to change. 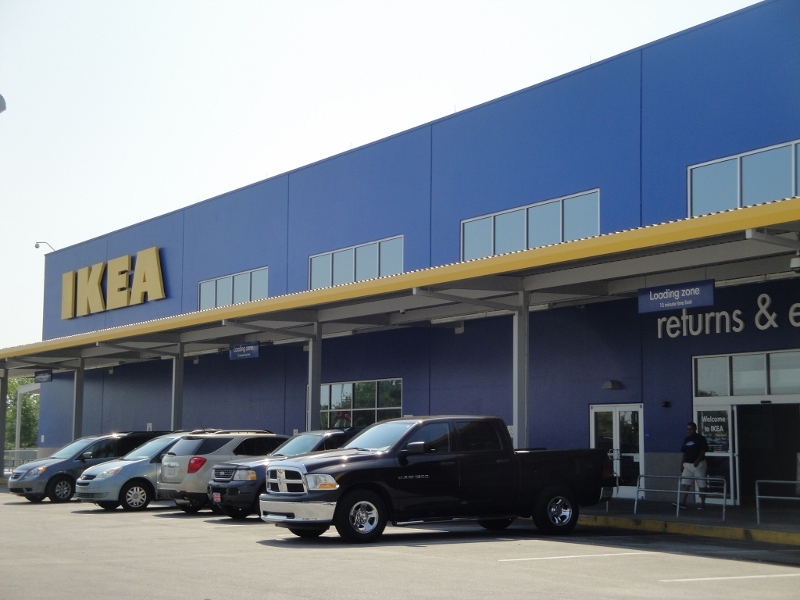 I have never been to Ikea….I want to go really bad! I grew up in Orlando! I love it there. And I love IKEA. I now live in Las Vegas, and the closest one is in LA. Abby recently posted..Do You Recognize This Man? I love Ikea! 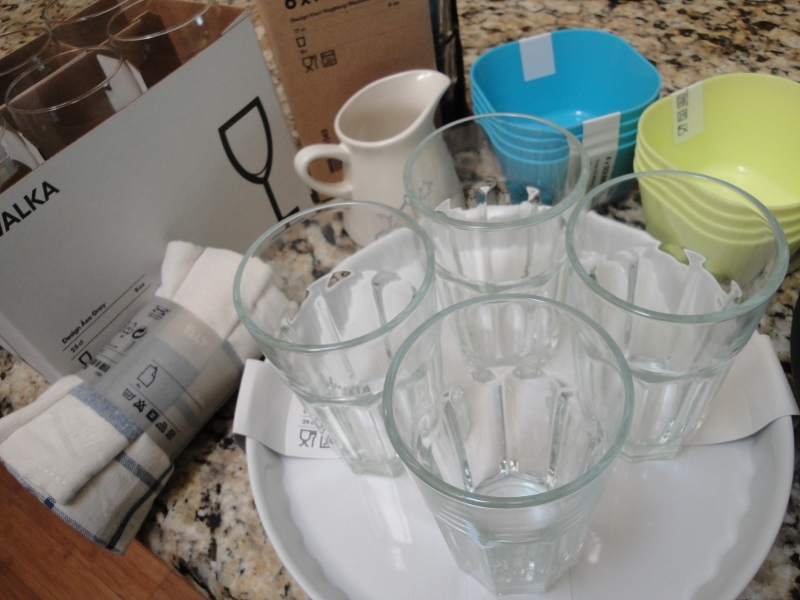 I almost always find cool dishes, placemats, and cups there. It looks like such a fun visit! I live 5 minutes away from the very first Ikea. 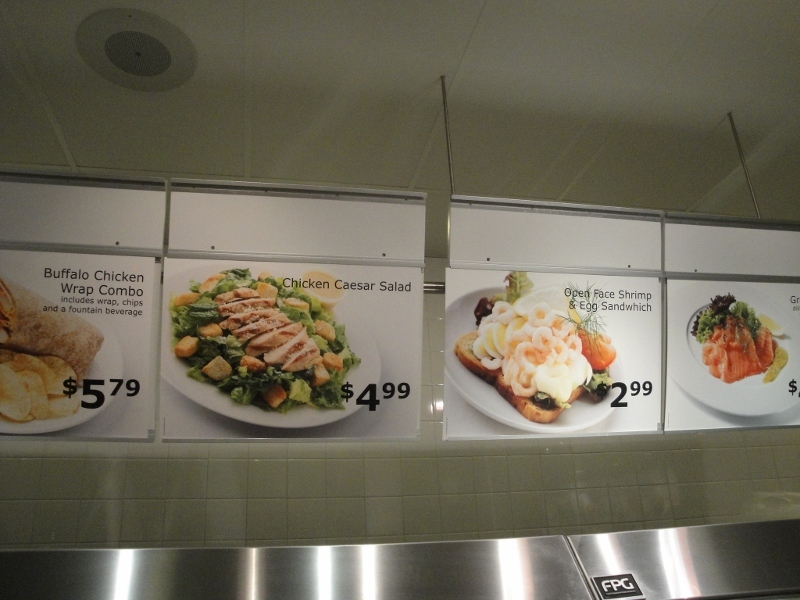 The sad thing is… its not as cheep here in Sweden as it is everywhere else.. But I still love it there! Wow…really? That doesn’t seem right! Thanks for stopping by! I think your post is having the opposite effect for my budget! I didn’t think about going to IKEA until I saw all the great kitchen things you found. I don’t think I could have kept from buying it all. 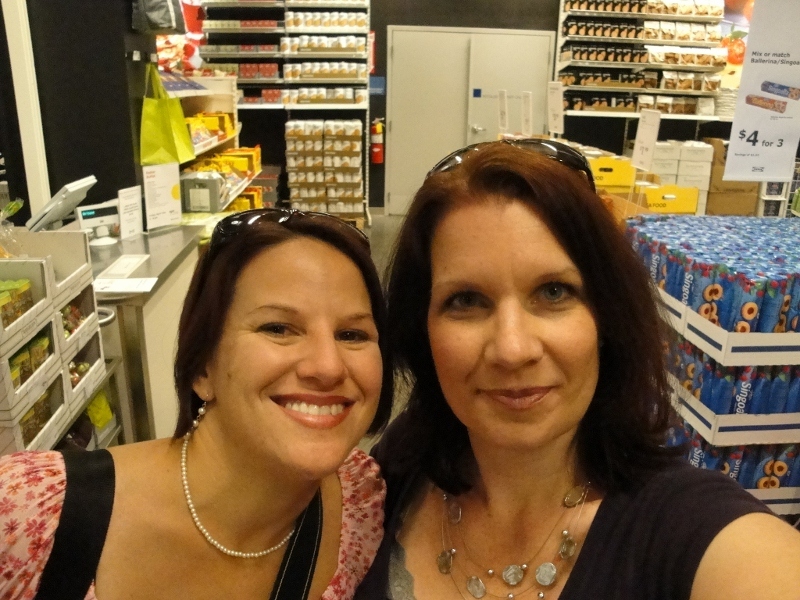 We have an Ikea about a 10 minute drive from our home in Toronto. In fact, there is one 10 minutes, one 30 minutes and one 45 minutes away! Usually when one is out of stock the others will have it. We sometimes go for breakfast because it’s $1.00 (scrambled eggs (real), a few home-fries and a couple of links of breakfast sausage. Eva recently posted..Morocco, here we come! I heart Ikea! We’re saving up to buy a new sofa from there, because they have removable covers, and we can buy an extra set of covers for all the messes 5 kids make. I have those clear glasses, and they are definitely a favorite in my home. I also picked up swig bottles there for my kombucha. Oh, and the big pillows are a perfect replacement for the headboard on our bed. We have an Ikea about an hour away from us. Thankfully it’s not closer or I would spend a lot more money there. It makes me think about what I actually need to help organize our home. I think if I shopped there more frequently I would make a lot more impulse purchases. I love those glasses too, by the way. They are quite sturdy and you can’t beat the price! Good job on finding the gems. With those prices, you can’t lose. I love IKEA, but we don’t have one near us. Boo. I fell in love years ago when my husband was in the military and we were stationed near one. Supposedly they are building one in our area, but that could be just a rumor. I love Ikea and I find that they have really great deals but it’s very easy to lose your mind and buy way more then you need. I don’t have one close to me about an hour away on Long Island is the closest, so I don’t go very often. I would like to go more but gas is to much in NY to drive far unless you can group your errands together. 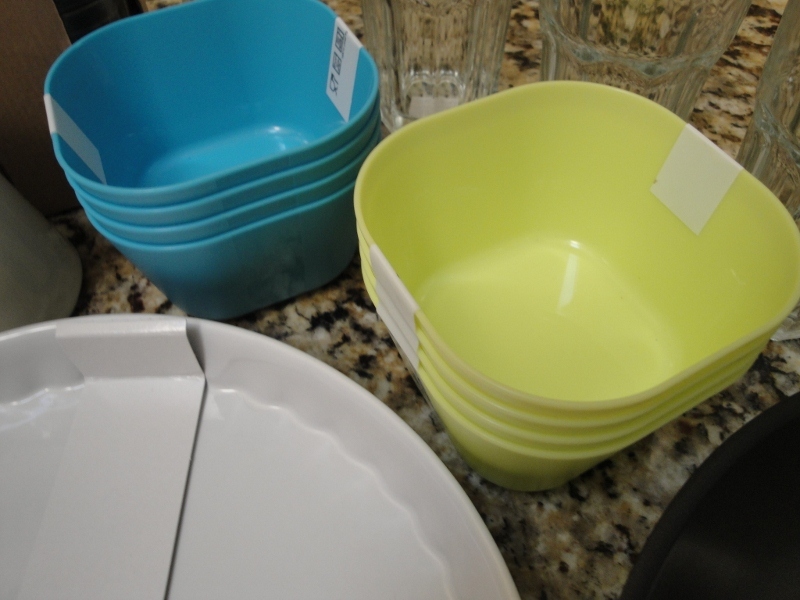 I have the same blue bowls, they are great. I really enjoyed your blog. Great haul! I am loving the 59 cent glasses! I am a new follower and wanted to invite you to share this in a blog hop I am co-hosting. No, you’re not the only one. My wife won’t throw anything away unless it absolutely can’t be fixed anymore. IKEA is a fun place to go. I haven’t been in a while, though because it’s like Target to me. Things just end up in my basket! Sounds like you had a great time! I love IKEA, but we don’t have one near us. Now, THAT’S frugal! It also serves free meals to kids on some days. I take a free bus from NYC out to Jersey then spend some money. You know the fact my grandma reads my blog is privilege enough…but that you actually comment really makes my DAY! That was such a fun day!!! We have an Ikea about an hour away from us. I am loving the 59 cent glasses! I love those glasses too, by the way.